As promised, I've finally been redoing my bedroom that hasn't been redone since my 13th birthday - YUP, 10 years ago. I decided to go with a shabby chic theme with neutral colors and elegant accents. My previous bedroom had a wallpaper mural, so I know how expensive wallpaper could run - and like any decor diva, I had the most specific vision of my new bedroom. Who knows if I'd find the exact pattern and colors I'm looking for? 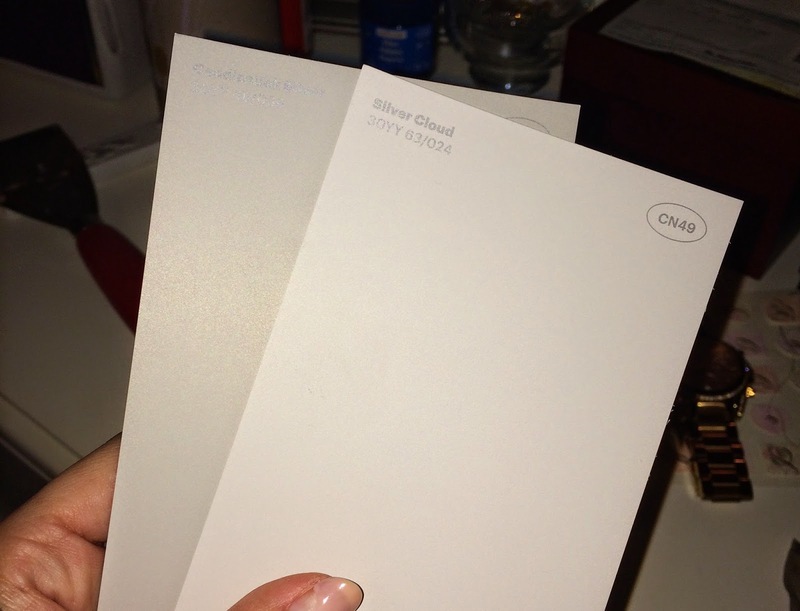 For probably 1/5 of the price, I purchased wall stencils along with two different colored paints and went to work. I did the one wall against my bed, and it was the most tedious project ever. You can either use painter's tape or stencil adhesive to hold the pattern in place. I started off by using a sponge, quit halfway, bought a 4 inch roller, and rolled the rest of the wall. I liked the way sponging came out better, but using the roller was 1000000 x easier. And less pressure on my arm lol. The stencil is the "Nador Wall & Floor Stencil" from Hobby Lobby, but you can grab it on Amazon here. There are various patterns available and inside is one 19.5" x 19.5" stencil. I was advised to get 2 if I want the process to go quicker, so I did! Was it worth it? YES. Would I ever do it again? .... Maybe in another 10 years from now. I can't show you my entire bedroom until my masterpiece is complete, so consider this a tease. 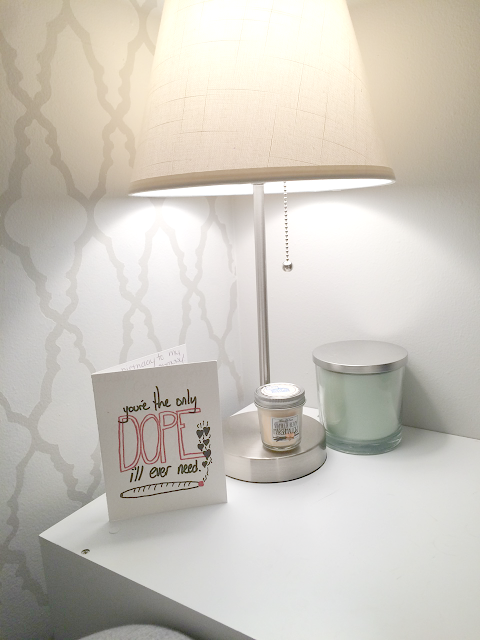 Oh, and shout out to my best girlfriend Becky for the cutest "you're the only dope I'll ever need" birthday card. Love ya! See more home decorating posts here!